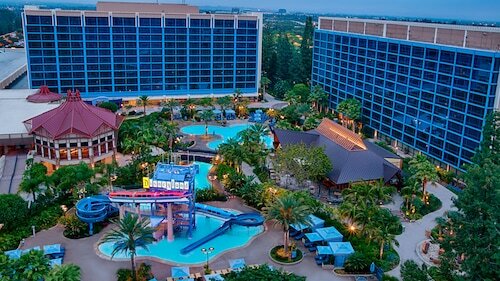 Expedia can help you save loads with an Anaheim vacation package. With all that extra money in the bank, you might even like to book a few extra nights. Gain savings up to C$590* with a package deal on Expedia. Click through our universal database of more than 400 airline partners and 321,000 properties worldwide. Too many on there to pick from? Don't stress — we'll help you decide! You can delay your travel reservations with us because we do not charge cancellation fees for almost all of our bookings. It's enjoyable to just roam the streets in a new place, but sometimes it's sensible to come up with a plan. 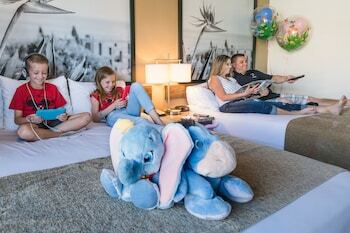 Grab your itinerary — we've got some fantastic ideas for your upcoming Anaheim vacation. You'll find plenty of fantastic things to see in Anaheim. World-famous attractions like Knott's Berry Farm and Disney California Adventure® Park ensure this will be a vacation that you'll always remember. You're going to find yourself surrounded by significant things to see and do, such as the Medieval Times and the Discovery Science Center. If you want to get the most out of your city stay, then check out Crystal Cathedral and the Bowers Museum. If amusement parks get your heart racing, you're in luck! Whether you're an adrenaline junkie or you prefer a more relaxed pace, Disneyland® has a ride for you! There's a fabulous range of things to do in this destination. If you want to see where the locals go to do their shopping, head to Downtown Disney® District. Have a walk around and discover which stores are their favorites. Still have some time to spare? Some of the region's most creative intellectuals were educated behind the walls of Fullerton College. After spending a couple of hours here, you might start to feel a little more brainy too! Vacations are pretty great already. But taking advantage of the fabulous activities on offer sure does make them better! Got a little time on your side? 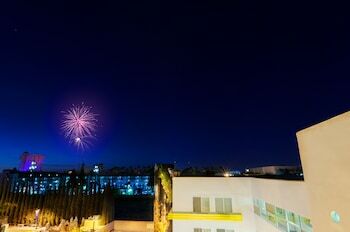 Visit our Anaheim things to do page for a full list of activities. 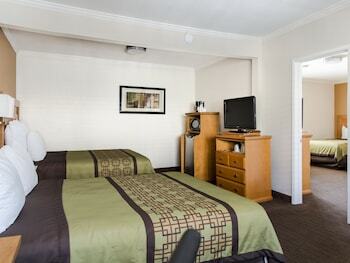 Before you set out for Anaheim, secure a cozy bed on Expedia. You'll have approximately 181 accommodations to pick from — your luxury getaway or cheap vacation awaits! 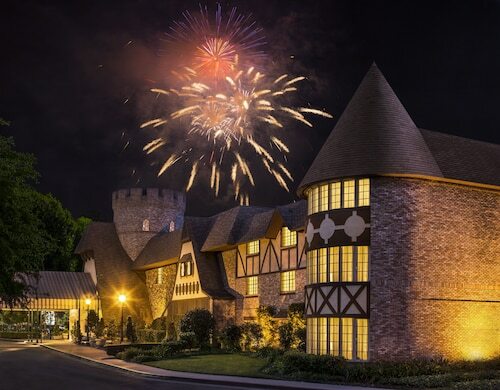 It's not every day you get to go away, so why not spoil yourself and spend a few nights in a fancy room at the Disney's Grand Californian Hotel and Spa (1600 S Disneyland Dr) or the Disneyland Hotel - On Disneyland Resort Property (1150 W Magic Way)? 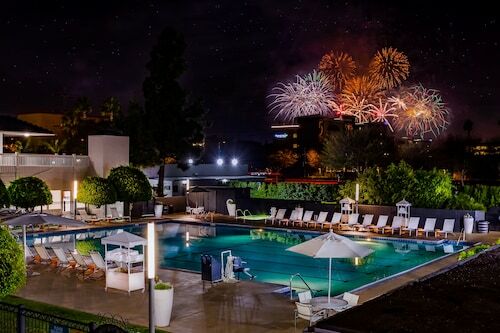 With fantastic service and top-level amenities, you'll feel like a VIP! If you don't feel like coughing up such big bucks, why not spend your evenings somewhere more affordable? Try the DoubleTree Suites by Hilton Anaheim Rsrt - Conv Cntr (2085 S Harbor Blvd) or the Del Sol Inn - Anaheim Resort (1604 S Harbor Blvd). Disney California Adventure® Park is a must-see for visitors to Anaheim, and staying within close proximity is a smart way to fully appreciate it. 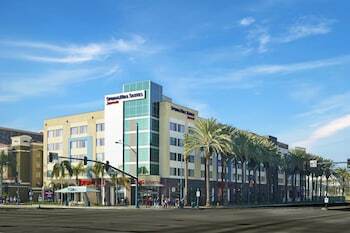 The Courtyard by Marriott Anaheim Theme Park Entrance can be found just 0.3 miles (0.5 km) away. 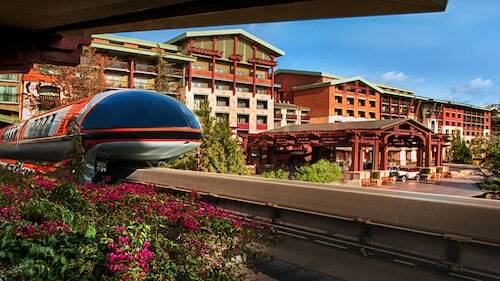 An equally popular choice is the Disney's Paradise Pier Hotel-On Disneyland® Resort Property, 0.3 miles (0.5 km) away. Nobody likes standing around at the airport. But it's a small price to pay when you remember the vacation that's just around the corner! 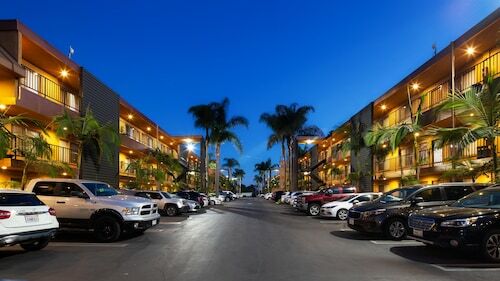 Located 11 miles (18 km) south of Anaheim, John Wayne Airport (SNA) is the closest terminal. Vancouver Intl. - Los Angeles Intl. Edmonton Intl. - Los Angeles Intl. Pierre Elliott Trudeau Intl. - Los Angeles Intl.